The Clinkenbeard Extreme Team is here to help! With decades of experience in the local Larue County area, our team of seasoned brokers and realtors are here to help you find your perfect Central Kentucky homes for sale or Larue County property rental. 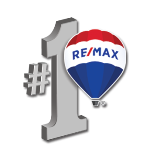 Looking to buy a Larue County house? Sign up for our VIP Home Finder program and we will send you home buyer reports as soon as new properties become available! Want to sell your house or find out what your home is worth? Fill out our home value request form and one of our agents will be in touch with you. If you have any questions about Larue County real estate, don't hesitate to contact the Clinkenbeard Team, your local Larue County realtors!